There’s now even more smoke. Earlier this month an advertisement showed that a LEGO The Incredibles game is in fact in the works. Now the full box-art for the upcoming action game has been unveiled. The game will release for PlayStation 4, Xbox One, Nintendo Switch, and PC. The report, which sources individuals linked to Warner Bros., states that the next LEGO game to come out will be one based on the upcoming The Incredibles 2. The game is expected to tie directly into the film, which is currently set to release on June 15. Per the report, details are fairly sparse on the game right now, but assuming it’s like other LEGO games, it isn’t a stretch to imagine what the game would be like. On the opposite spectrum of games featuring heroic individuals, Warner Bros. is also said to be working on a new LEGO game based around DC Comics characters, with the rumored title supposedly set to feature various villains of the DC universe. 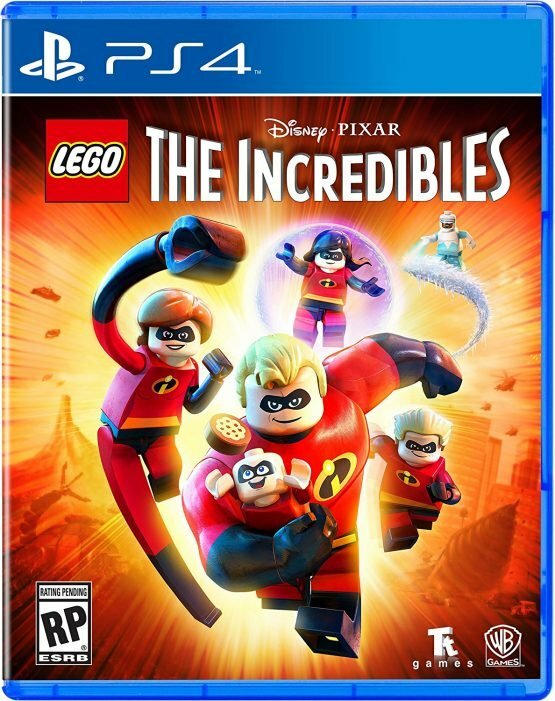 Much like The Incredibles 2 game, details about this game are sparse, but sources are currently said to be referring to the title as LEGO DC Villains or LEGO DC Supervillains. While not many characters have been discussed, some of the DC staples like Harley Quinn, The Joker, and Lex Luthor are said to be included. LEGO The Incredibles is set to release in 2018 for PlayStation 4, Xbox One, Nintendo Switch and PC.